Paint Soapstone Powder - Mahaveer Mineral from India. Chemical formula for Soapstone powder is H2Mg3(SiO3)4 (Magnesium Silicate), which means 4.8% H2O; 31.7% MgO and 63.5% SiO2. Formed by the hydrothermal actions and metamorphism of magnesium rich rocks like dolomite, pyroxenite, amphibolite, seerpentine, dunite and chlorite. 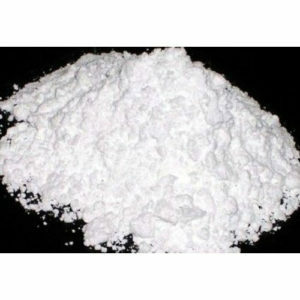 In pulverized form it is white in appearance. soapstone powder is also known as steatite or soapstone. Also called Soapstone powder probably due to its soapy touch and feel. French-chalk is the trade name of pulverized soapstone powder of pure white quality which is used as base for many cosmetics and toilet preparations. Talcum powder is used for its extreme softness, smoothness, shine and high lubricating and hiding power and ability to absorb oil and grease. It is chemically inert. An excellent filler. It can withstand upto 1300ºC. It has low electrical and thermal conductivity. Above all it can be easily powdered, cut and sawn. These properties in talc are of extreme value. Found in three forms, fibrous, nonfibrous and massive. Talc soapstone powder, steatite powder. Being a noteworthy enterprise of this industry, we are offering a wide spectrum of Paint Soapstone Powder.